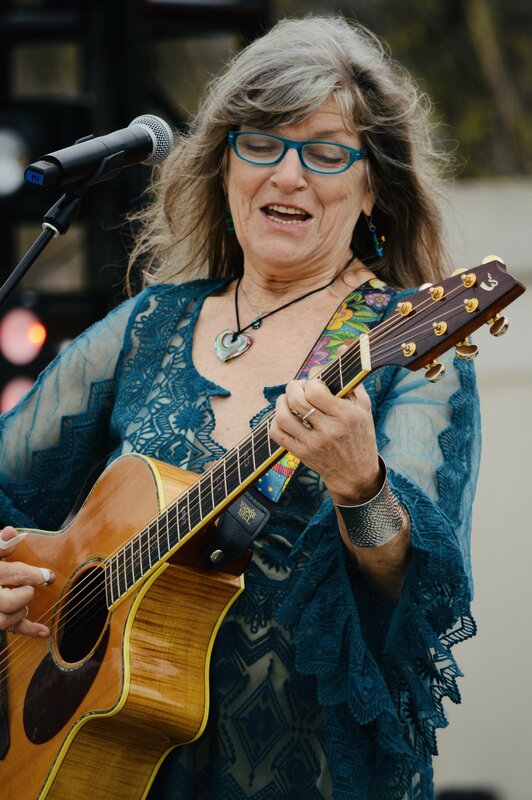 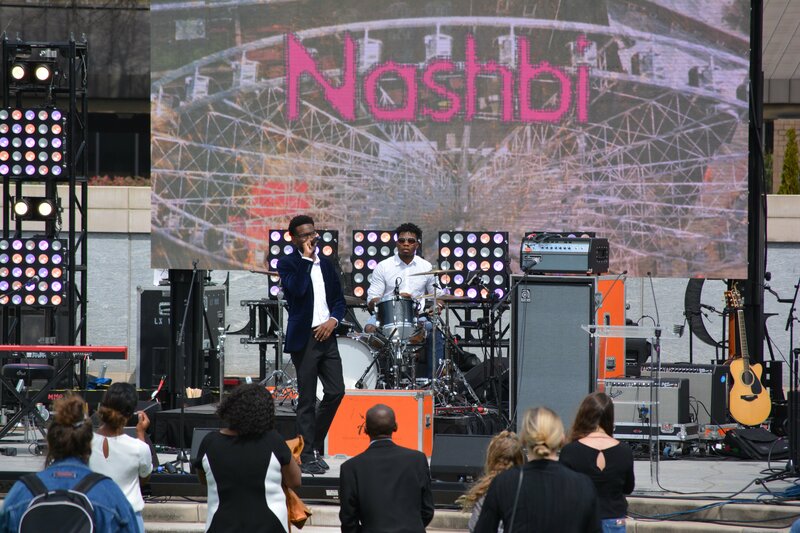 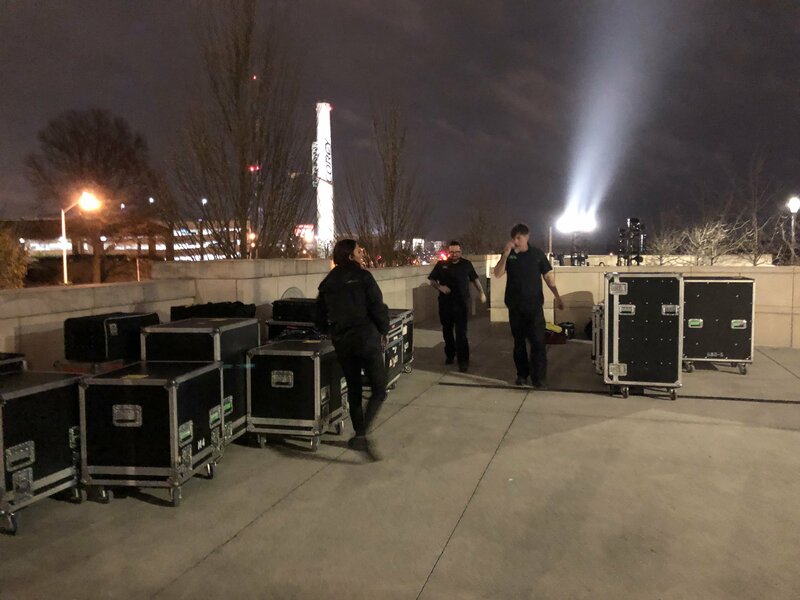 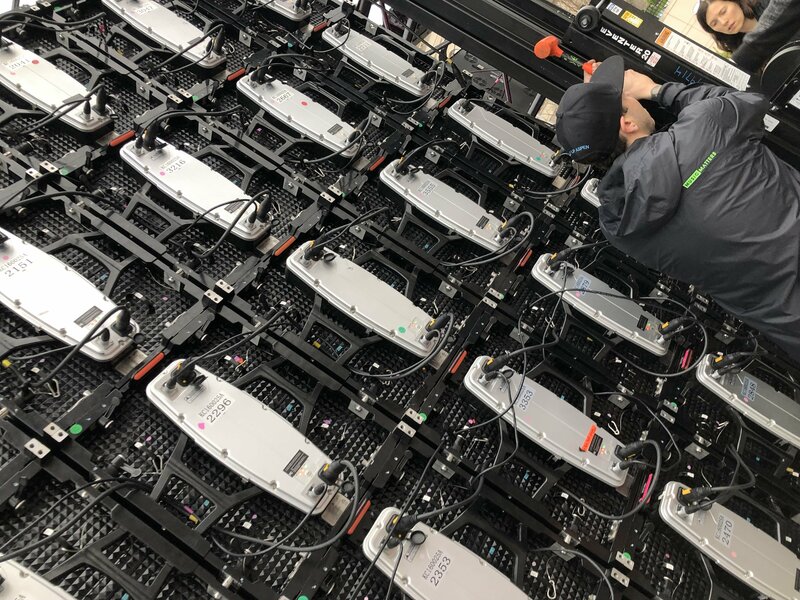 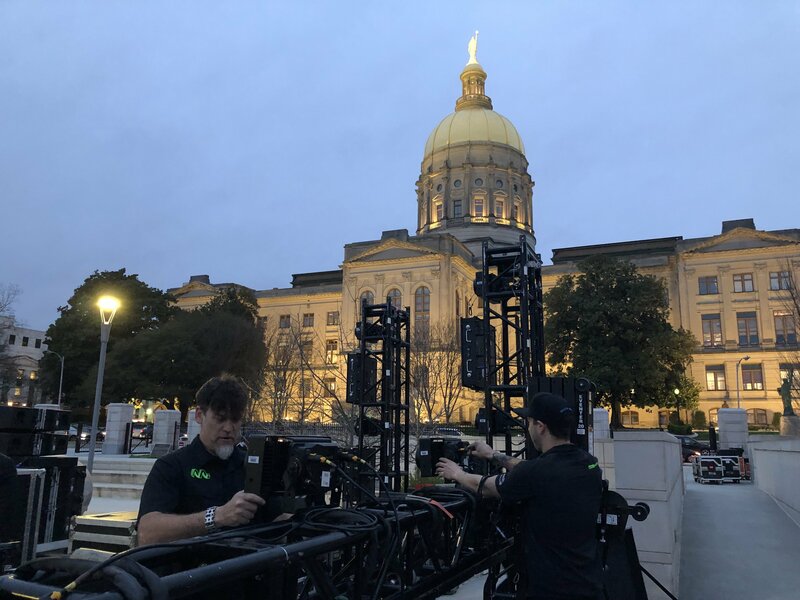 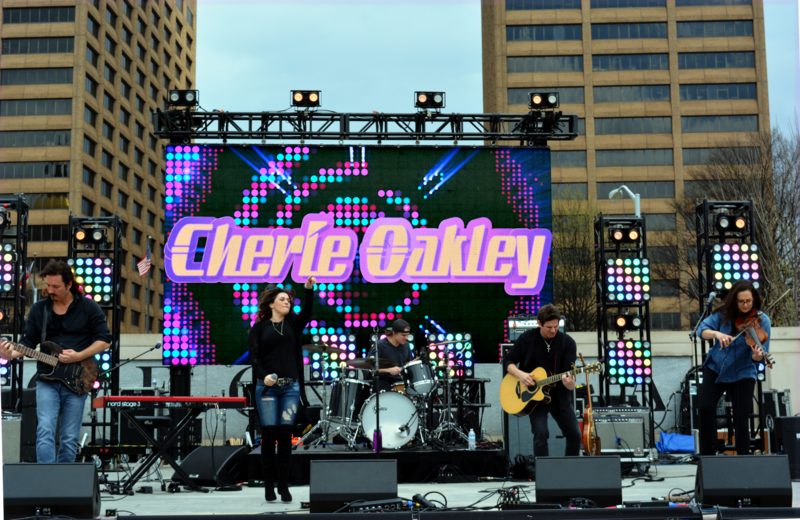 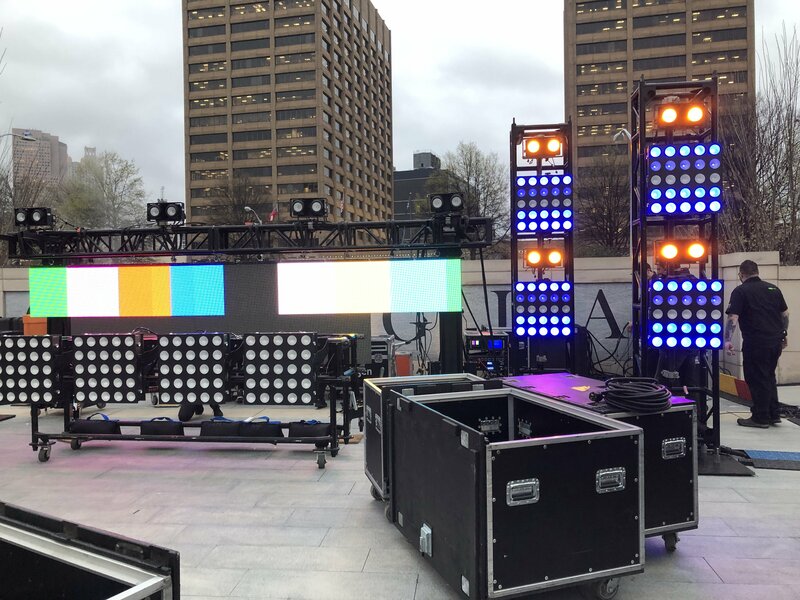 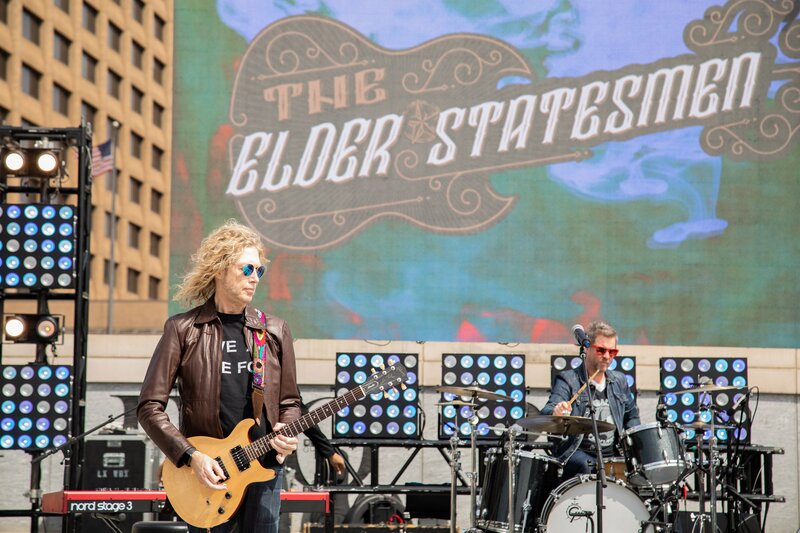 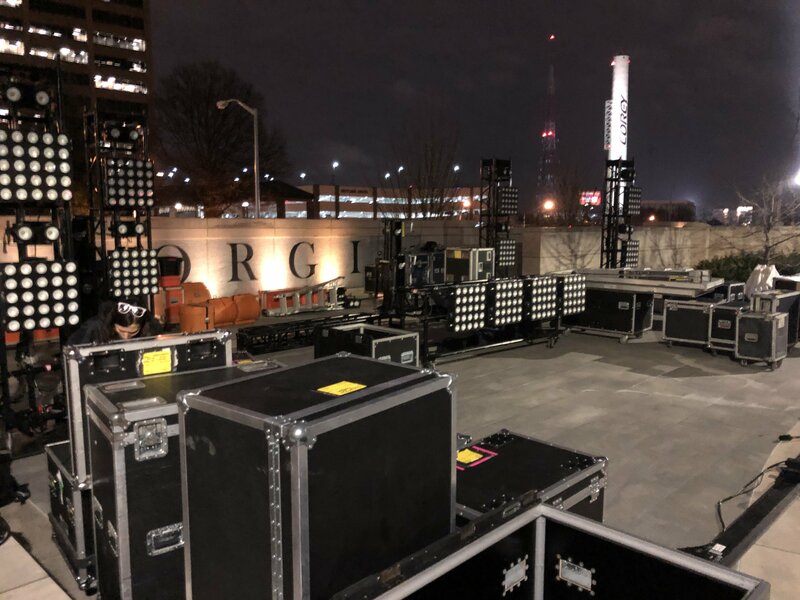 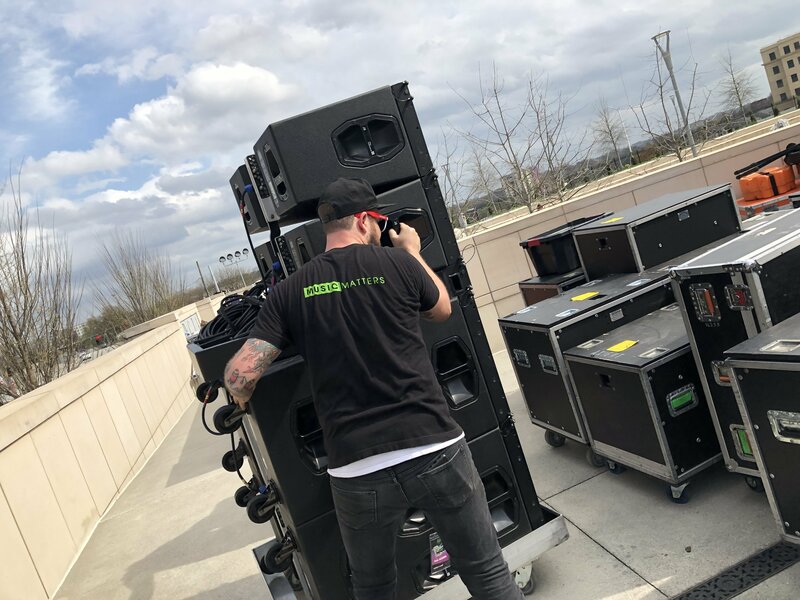 Thursday, March 14, 2019, marked the first ever Georgia Production Day held at the Georgia State Capitol’s Liberty Plaza. 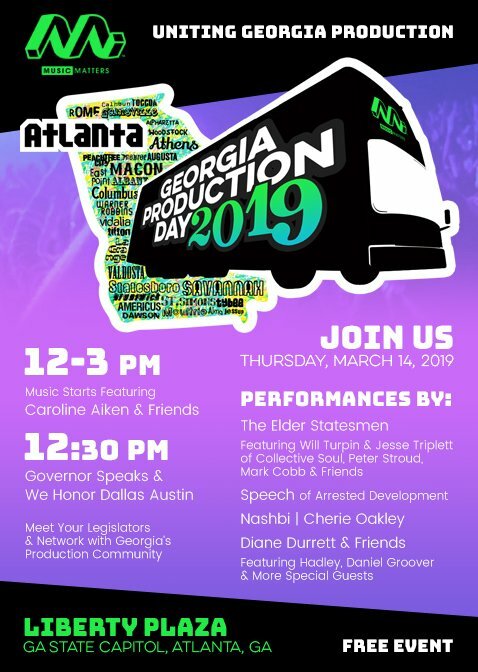 Georgia Production Day was conceived by Bram and Music Matters Productions with the intention to, “unite our production community with legislators to celebrate Georgia’s rich legacy of live music and support the new music tax incentives of The Georgia Music Investment Act.” See the wrap up here. 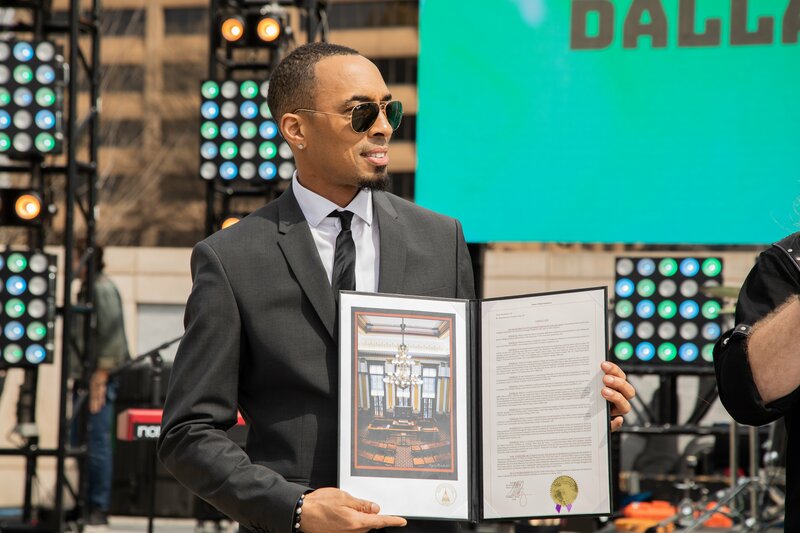 Georgie Production Day also honored the life and work of Dallas Austin, commemorating his “significant impact on Georgia’s culture and tremendous support in the development of our creative ecosystem.” Dallas Austin is a Grammy Award-winning producer, artist, philanthropist, and educator determined to inspire Georgia’s next generation of creatives to find meaningful work in Georgia through the Dallas Austin Foundation. 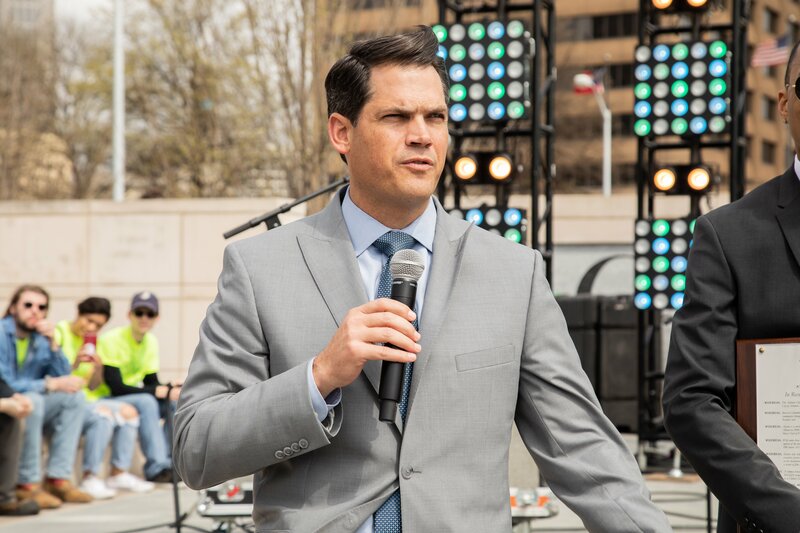 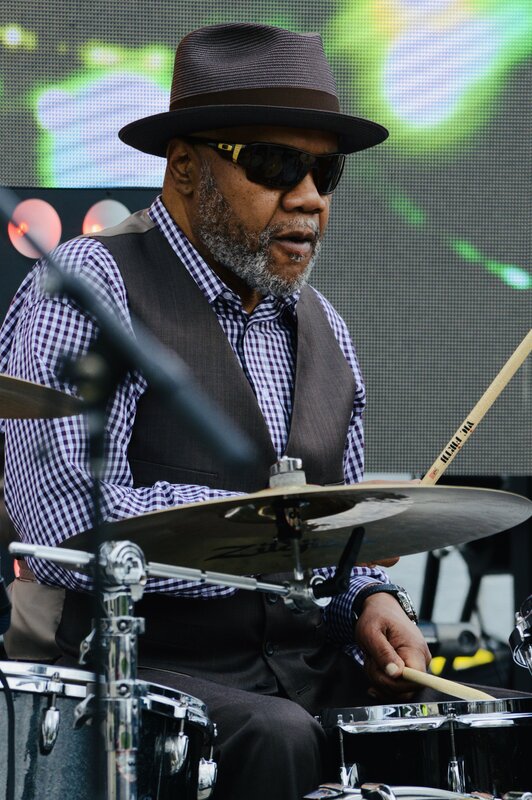 He is a member of the Global Citizen Forum and board member of the first-ever Georgia Entertainment Caucus. 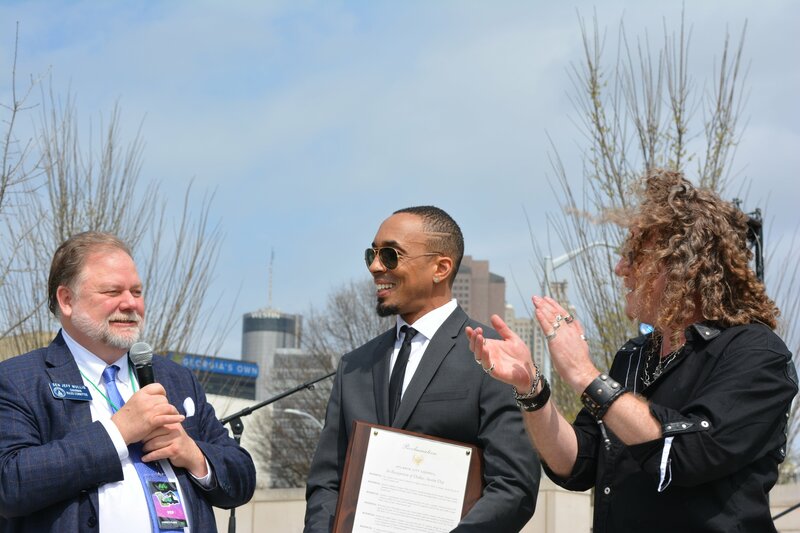 He has not only contributed creatively to the community of Georgia but was instrumental in financing the legislation for Georgia’s Entertainment Industry Investment Act that has helped turn Georgia into a powerhouse for film production in the ten years since its inception. 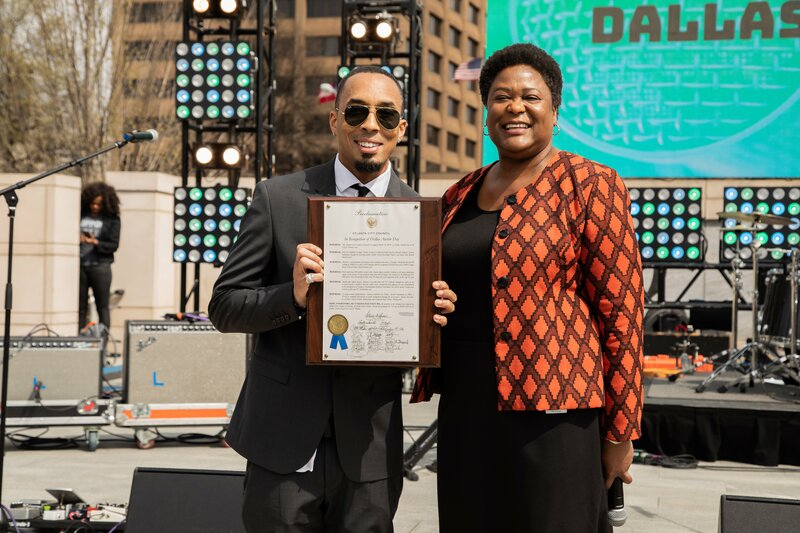 Austin was honored with invite resolutions on the house floor prior to the event and presented a city proclamation deeming March 14, Dallas Austin Day by City Council President Felicia A. Moore. 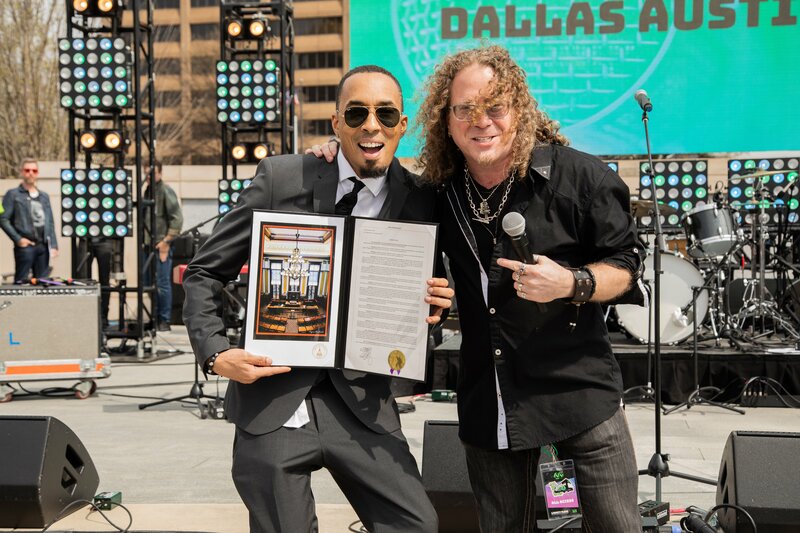 Alongside honoring Dallas Austin, the day included performances from Caroline Aiken & Friends, The Elder Statesmen (featuring IHM artist Will Turpin of Collective Soul), Peter Stroud (Sheryl Crow), Keisha Jackson, Governor Kemp’s intern Nashabi featuring Speech of Arrested Development, Cherie Oakley (Nashville), and Diane Durrett & Friends. 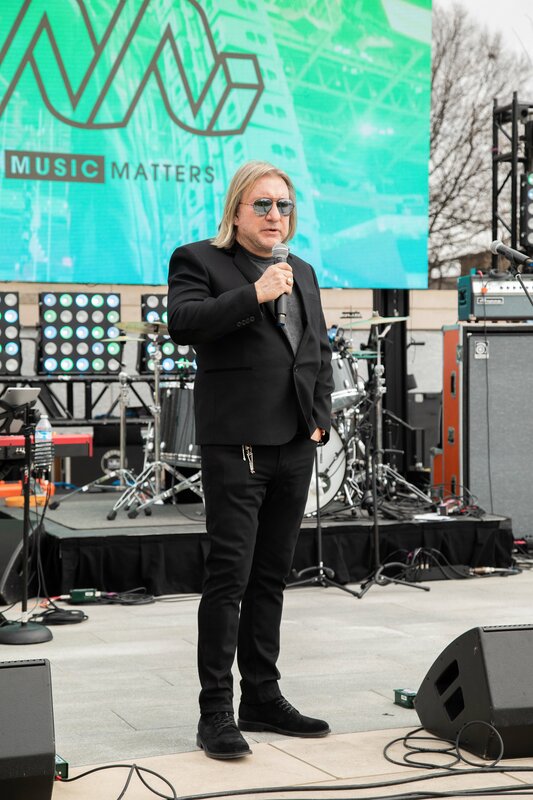 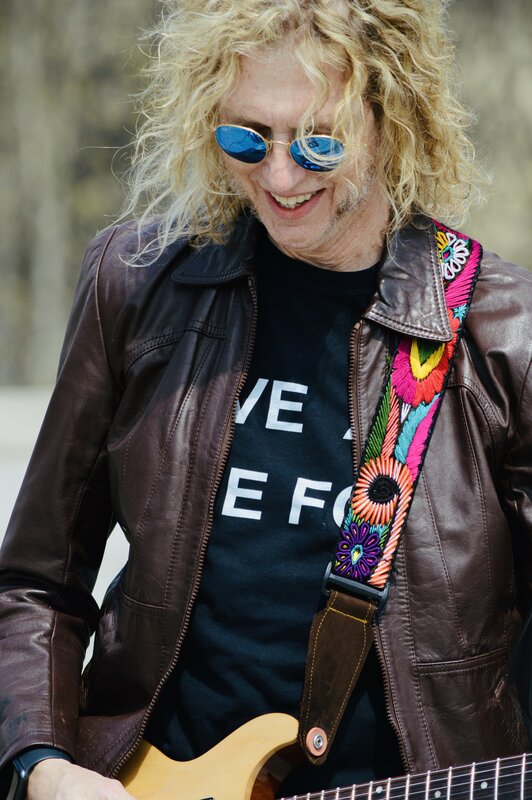 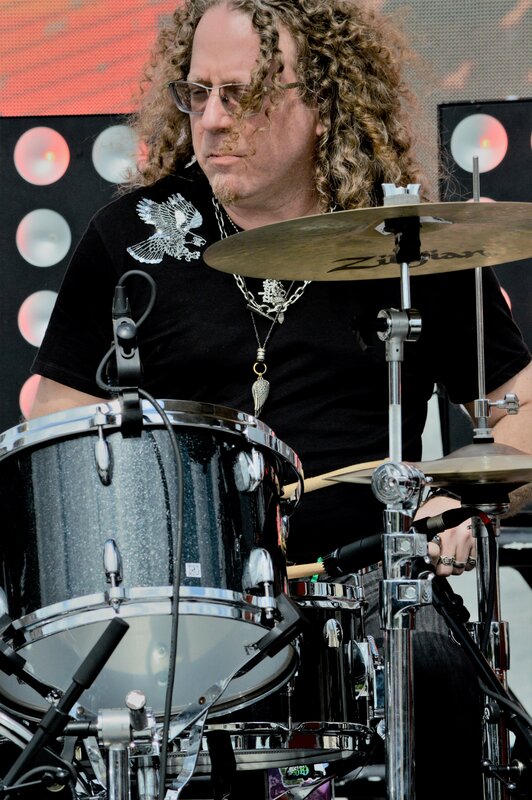 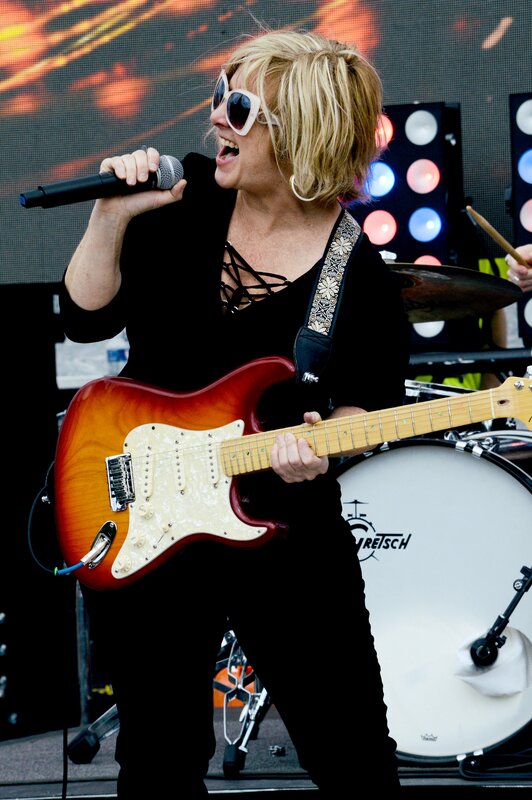 Indiehitmaker Founder and President Bram Bessoff, a decades-long supporter of and figure in the Atlanta music scene and beyond, was also in attendance and even joined Diane Durrett on stage for the closing all-star jam. 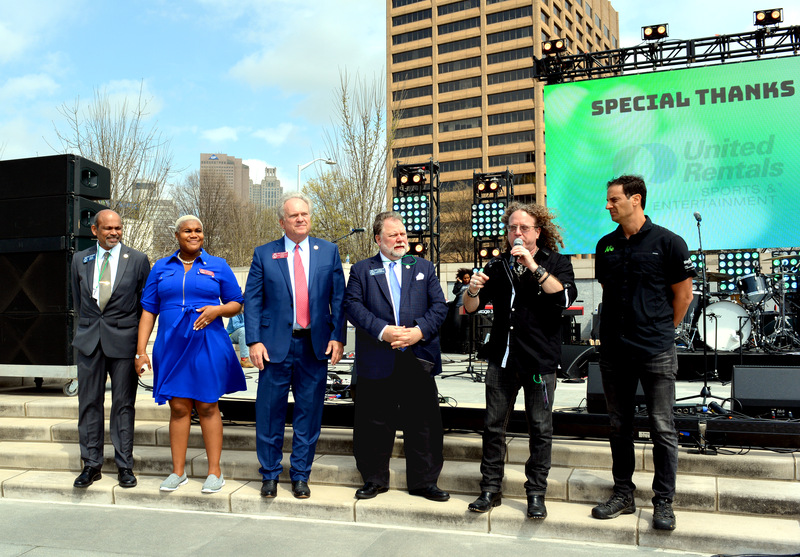 They were joined by members of Georgia’s legislation including assembly leaders Sen. Jeff Mullis, Rep. Lee Hawkins, Rep. Matt Dollar as well as Lt.-Gov. 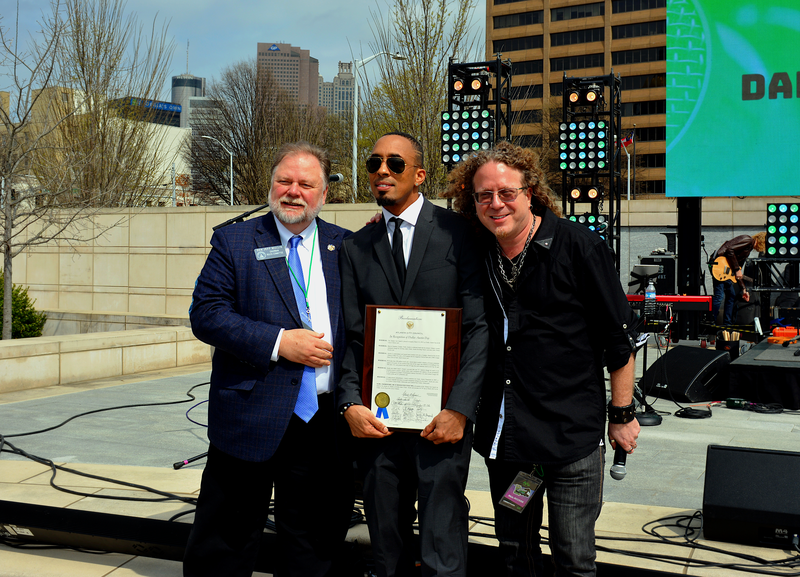 Geoff Duncan and Livenation President Peter Conlon who led off the festivities with a keynote address to the audience of music industry & production professionals, Georgia Legislators and students from surrounding schools supporting creative arts programs. 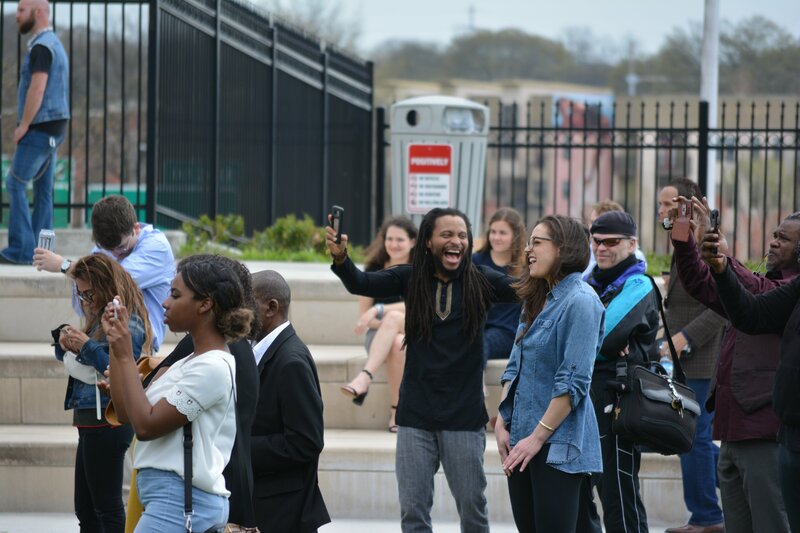 On top of being an opportunity for Georgia’s Production community to network with legislators and enjoy a beautiful day of live music, the purpose of Georgia Production Day was to build awareness for the Georgia Music Investment Act designed to grow Georgia’s economy through music to create more production jobs for Georgia’s creative workforce. 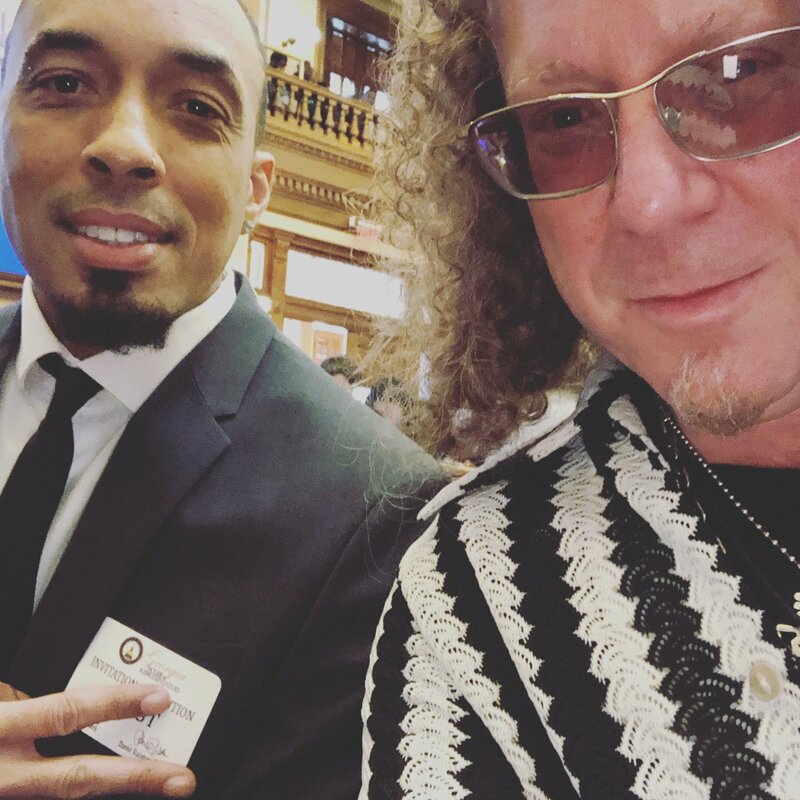 Indiehitmaker will always give our full support to advocacy and legislation that grows our music industry and creative economy, both local and countrywide. 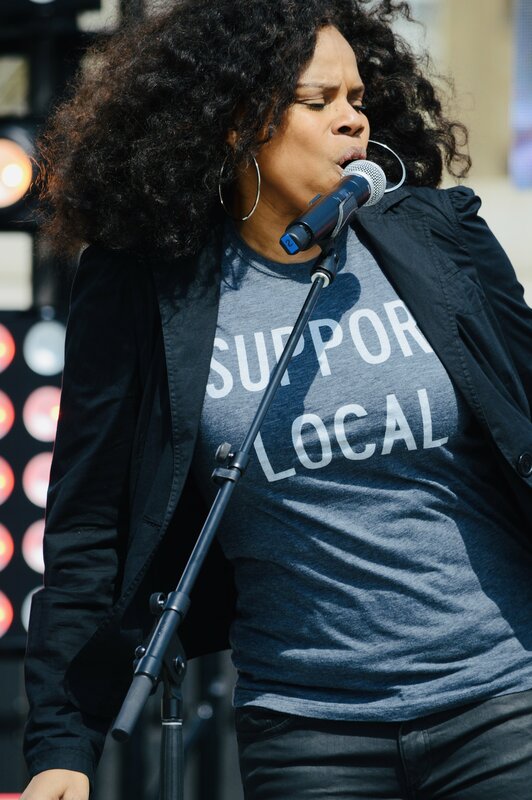 Check out some of the ways we contribute to growing the scene by providing services for independent artists like our Live Music Production services, and our variety of Momentum Planning options, to help you #MakeItCount! 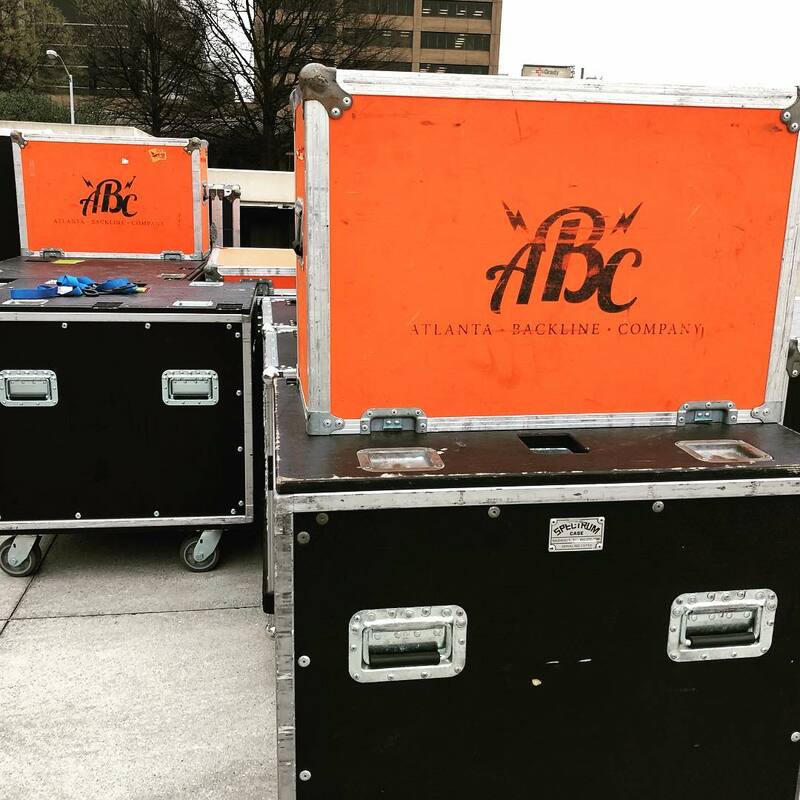 Special thanks to our friends at Atlanta Backline Company, United Rentals, Royal Restrooms, Avery Partners Entertainment, Monster Energy, Clash Graphics, Hudson Grill & The Georgia Building Authority.